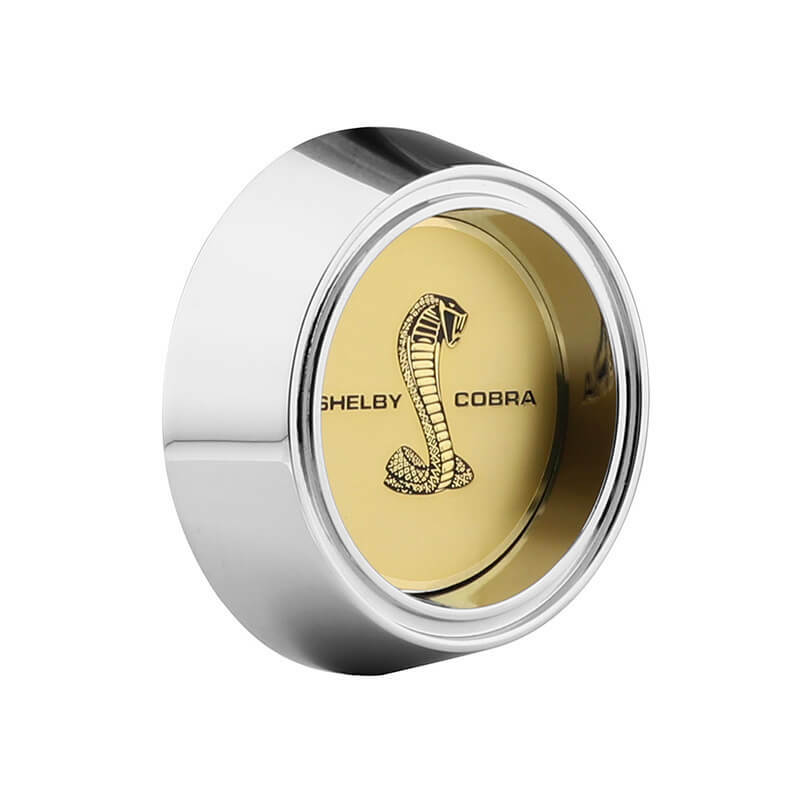 This die cast zinc hubcap features the iconic Tiffany snake with the 'SHELBY COBRA' name on a gold backround with a chrome bezel. Originally featured on 67 & 68 Shelbys. Officially Licensed.